Makhabbat Abdualiyeva allegedly posed as a real estate agent and scammed Brooklynites out of money. 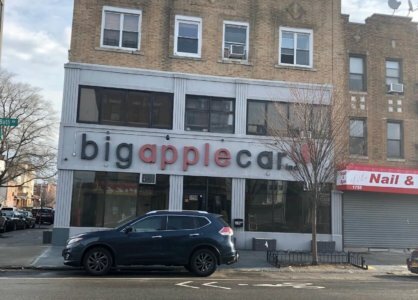 Police have arrested a woman wanted in connection with a series of apartment rental scams in Bensonhurst and Midwood. Cops say that, back on Mon., Apr. 30, 2018, at around 10:15 p.m., 24-year-old Makhabbat Abdualiyeva allegedly posed as a real estate agent and accepted a $500 security deposit for an apartment near Bay Parkway and 77th Street, which had been advertised on line, but which she had no authority to offer for rent. After the victim, a 22-year-old woman, met with the suspect at the apartment, the former handed over the security deposit, according to the authorities, who added that the victim could not subsequently reach the suspect. In addition, cops say that the same day, at around 11:50 p.m., also around Bay Parkway and 77th Street, Abdualiyeva also allegedly scammed a 30-year-old woman, who had also answered the online ad. In this case, cops say, the victim gave the suspect $200 as a security deposit. The suspect could not be reached after the transaction either, according to the police. Finally, cops allege that Abdualiyeva repeated the scam on Tues., Jul. 10, at 11:59 p.m. near Avenue N and Ocean Parkway, where she accepted a $700 security deposit for an apartment rental from a 25-year-old woman who had answered an online ad for an apartment for rent at the location. Abdualiyeva was arrested on Weds., Jan. 23 and charged with two counts each of petit larceny and second degree criminal impersonation.